Posted on November 30, 2018 . No Comments. Rachel Cosgrove, co-owner of Results Fitness and writer of The Female Body Breakthrough, and Drop Two Sizes. In this episode, Rachel discusses what it takes to be a trainer, what sets Results Fitness apart, and how to create a sustainable business. She also discusses her work with StrongFirst Accredited Gyms. 00:57 – Rachel talks about her background and what led to her success. 03:28 – Rachel discusses what is necessary and required for someone to be a trainer? 06:44 – Rachel talks about training ladies and how it has changed over the years. 10:50 – Rachel’s philosophy on nutrition, recovery, and accountability. 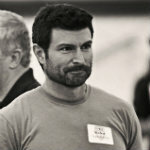 13:31 – What makes a successful gym owner and what is taught at Results Fitness University. 17:03 – Rachel elaborates on what makes culture and environment so important. 28:45 – Rachel talks about getting through the “grind stage” of starting a new business. 33:20 – Rachel discusses goals for gym owners. 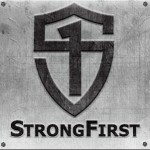 Culture and core values are what separates a Results Fitness/StrongFirst Accredited gym from the rest. You need to understand the business side of your gym. Drop Two Sizes: A Proven Plan to Ditch the Scale, Get the Body You Want & Wear the Clothes You Love!